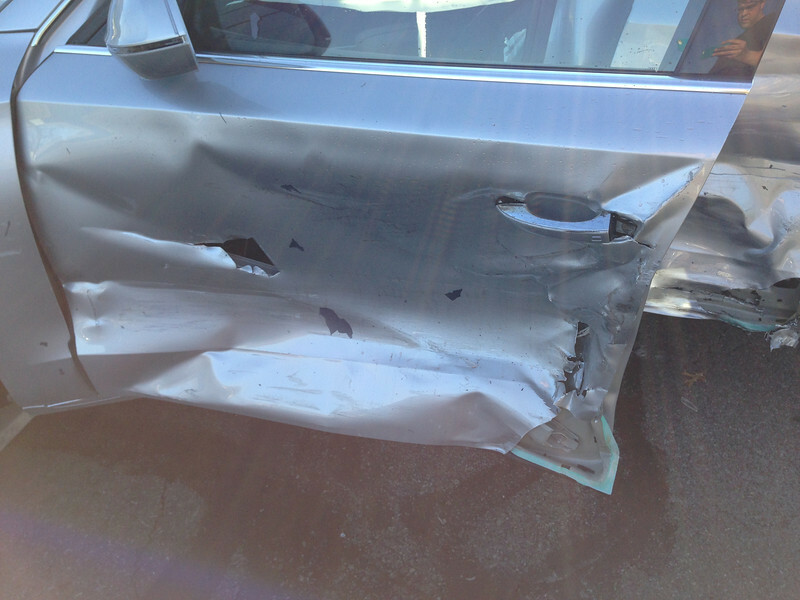 2013 A8L 4.0 after being hit on February 28, 2014. Note side curtain airbags deployed. Significant damage to aluminum frame and bodywork. Dual-pane glass shattered.